For pricing and more information on this title, call us at 1-877-394-8826. Discounts may be available to customers that subscribe to both online research and print products. 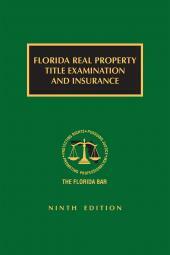 The work on all aspects of real property law that the courts look to and cite. Cited More Than Any Other Treatise on Real Property Law, and cited multiple times by the U.S. Supreme Court over the last decade. 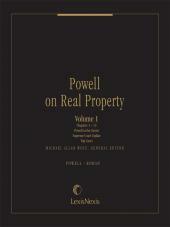 • Powell in the Courts, a quarterly analysis of recent case law citing Powell, released 4 times per year along with the updates to the treatise. Updated analysis of complex property issues related to Rails-to-Trails. Some of the most contested property disputes of the late twentieth and early twenty-first centuries have concerned the conversion of railroad corridors to public uses such as recreational trails. Such disputes are the subject of new Chapter 78A, Rails-to-Trails: Conversion of Railroad Corridors to Recreational Trails, written by Professor Danaya C. Wright. Updated information and analysis on Green Buildings. Why do real estate attorneys need to know about them? General Editor Michael Allan Wolf explains in new Chapter 78B, Green Buildings, as he explores the green building phenomenon--the forces coming together to integrate building design and construction practices furthering energy efficiency, resource conservation, and the protection of the environment. Authoritative Coverage that the courts look to and cite. 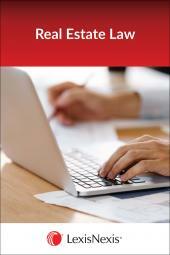 Written and updated by leading authorities and practitioners from across the nation. Statements of law are supported by abundant citations to statutes, regulations, case law, law review commentary, and more. 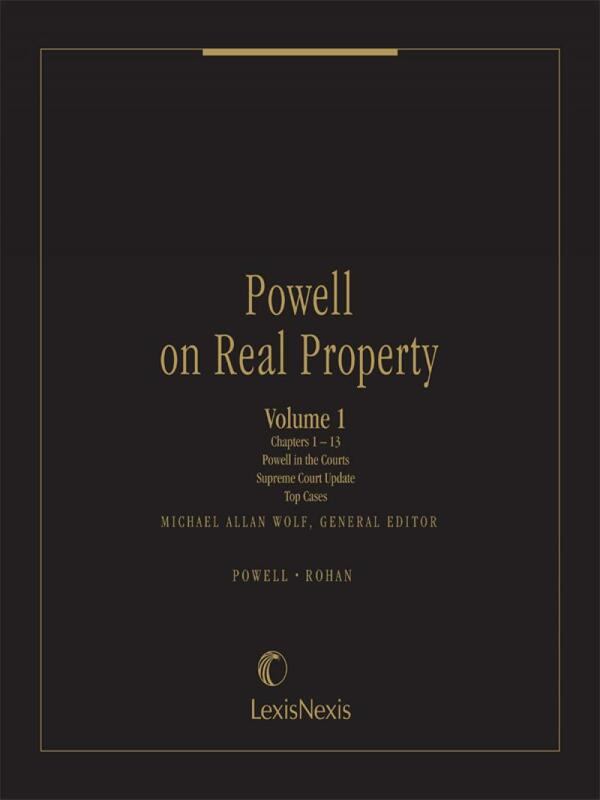 For more than half a century, Powell on Real Property® has been the one source to turn to for the answers to real property law questions in America. With its unparalleled breadth and depth of coverage, it still is. United States v. Craft, 535 U.S. 274 (2002). Chief Justice’s dissent in Murr v. Wisconsin, 2017 U.S. LEXIS 4046, at *38 (Roberts, C.J., dissenting). Michael Allan Wolf is a Professor and the Richard E. Nelson Chair in Local Government Law at the Levin College of Law, University of Florida. Professor Wolf―who received his B.A. degree from Emory University, his J.D. degree from Georgetown University Law Center, and his A.M. (History) and Ph.D. (History of American Civilization) degrees from Harvard University―joined the University of Florida faculty in 2003. He was previously a member of the law faculties at the University of Richmond and Oklahoma City University. He teaches and writes in the areas of property, land-use planning, environmental law, and constitutional history, and in American history/American studies. In addition to serving as General Editor of Powell on Real Property®, Professor Wolf is the editor of Strategies for Environmental Success in an Uncertain Judicial Climate (ELI, Michael Allan Wolf ed. 2005), for which he is also a contributing author, and is the author of over forty articles in publications including law, economic development, planning, and historical journals. His commentaries have appeared in leading national newspapers and on National Public Radio. A member of the Florida Bar, Professor Wolf is one of the nation's preeminent experts on enterprise zones. He has testified several times before Congress, helped draft state legislation, published several articles and essays, and advised local, state, and federal officials on the subject of urban redevelopment.